In an exclusive interaction with Restaurant India, Gautam Kamra, GM, Wok To Walk talks about the brand’s expectation after acquiring international market successfully. When did you think of entering India? Is it a franchise or a partnership deal? We have taken a master franchise from Wok to Walk international which has been established in Amsterdam, Europe in 2004. Considering the number of brands of Wok to Walk in Europe, we thought of extending to India. It’s a unique concept where you can have your cuisines directly prepared by yourself. So, we just thought to bring something new to the Indian market. That was the reason we entered India. Why Delhi as its first location? We will, of course, go to other cities as well. Delhi has a maximum potential in terms of new brands for their growth. Delhites also welcomes every trend and brand very well. 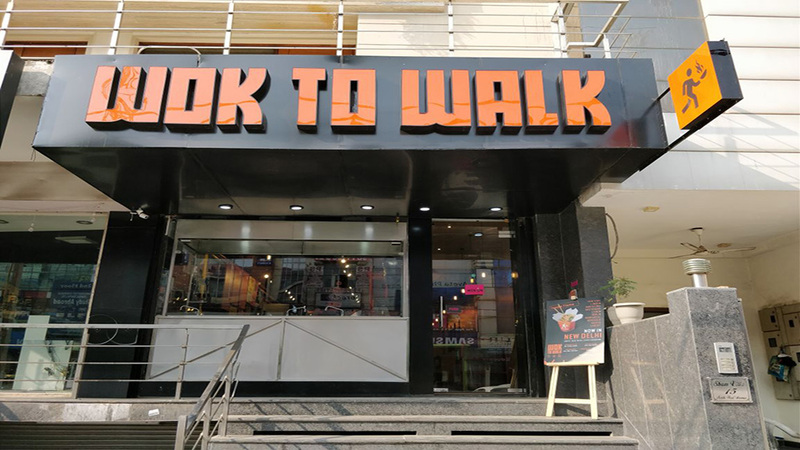 Delhi has always been known as “Dilwalon ki nagri” which made us choose Delhi as Wok to Walk’s first location in India. The younger crowd which I personally find here welcomes the new concept appreciating the food. They are the people who can even spend even a good amount of money just to grab a quality product. How the idea of cooking and serving quick, fresh and yummy food struck your mind? We have seen the Chinese foods are being served from the back of the hub which is the kitchen. So we thought to create a buzz around while introducing a concept where the food is prepared in front of the people rather than in the kitchen. Preparing the food with fresh ingredients with full precautions in front of the people was the whole idea behind this concept where we tried to provide transparency to our customers. How has been your experience with the brand Wok to Walk and how have you contributed towards its huge success? We have just started in the month of January. We are looking forward towards opening another four outlets in the next six months. One is coming in Gurgaon and the other is coming up in Vasant Kunj. We are focusing on a target of 100 stores in the upcoming five years. We are getting a great response which is highly boosting our morale towards expanding our reach even more. What is the whole idea behind creating a customize recipe option for all? Customizing recipe has created varied choices for our customers to make up at the real time basis. We are providing people to select their own ingredients in the cuisine they are interested in consuming. In this way we are also providing transparency to our customers who are generally health conscious. We are trying to provide nutritive value of food in front of the people. How the nutrition calculator available at your website is contributing in gaining customer’s attainment? All the ingredients value has been specified by the FSSAI. We are following the same pattern and precaution to help our customer, calculate the nutrition value they are going to intake while dining with us. It has certainly created a buzz especially among the health freaks which can be found easily in the current time. How are you trying to be transparent towards your customers as your foods are without MSG’s as an ingredient? Our food without MSG’s as an ingredient is our USP. Right now MSG is banned all across. We are very health conscious and we do not want to make any risk. That is why our brand is specified for using fresh ingredients without MSG catering healthy food to our customers. What’s your expansion plan in India? We are coming up with another four outlets in Delhi-NCR including place like Gurgaon and Vasant Kunj in the next six months. We have a target of opening 100 outlets of Wok to Walk in India including cities like Bengaluru, Chandigarh, Mumbai etc. please send me the details.i am looking this to open in kerala. and i wants to know all the details if possible, shop area, food menu, staff u will give training or not, how much investment.